I try to explain what’s my problem. I have a local Windows Server with local MS SQL Server and IIS. I have a hosted Apache Webserver with MySQL. The company’s website is on the hosted Apache Webserver. Our Intranet is on the local IIS. I would like to access a local Server Connect Action from my hosted Apache website. 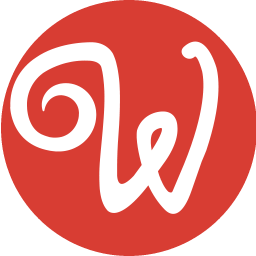 I know how to do this with Wappler and it works perfectly. 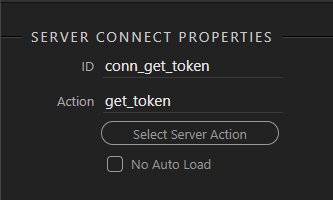 The only problem I have, is that I would like to secure the local Action file from Server Connect. How do I do this? My Security Provider Action file is on the Apache Website. I don t know if it can be applied your case. I had two different websites done both in wappler each one with his own Security Provider. One day I had the need that people authenticated in the first website could access a folder in the second one. (to upload files in a folder visible by the 2 website). Then I re-created the same Security Provider in the second website as in the first. When people logged in the first website they have link to go in the second website but they do not see the difference because it is like they are already logged. the second website then have 2 security provider. One for people who login normally to use only website 2 and one identical to the one of website 1. I think the problem is that the websites are not on the same server. I will try to setup the same Security Provider on the local intranet site. do you have an other idea what I could do? I guess something like having a parallel login on the other server and sending the login credentials to the second server so that you log in to both simultaneously. No need to send login to the second server if you replicate same security provider. I always thought the Security Provider worked by sending login parameters to a script on the server on which it is running. and on doing so setting session cookies on that server. Thank you for your suggestions. I think my problem is that I am on two totally different servers. Server 1 is on IIS/MSSQL with ASP.NET and Server 2 on Apache with PHP/MySQL. I can‘t copy the action file. @MH2ag Marcel, i don’t think the different platforms are the issue, just being two different servers (rather than 2 websites on 1 server) is enough as sessions are server specific. What you would need to do is send login credentials as part of the cross server request and add a login stage to the server action to re-authenticate on the second server. It may be possible to add this to the IIS server’s login stage i.e. to add an additional stage to send the login credentials to the Apache server also and that would keep the authorisations in sync. I confess I have never tried but i cant see why it couldn’t work on the face of it. Brian, I think I’m a little confused how to send the login credentials to the IIS. To do this I would need a second form submit with a Server Connect Form, is that correct? Having thought about it in detail I am not 100% sure that you can do a “dual login” as the authorisation credentials will still not be shared. 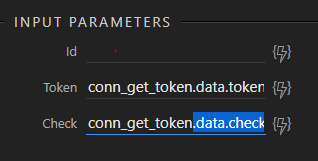 I think you would have to store the login credentials as session variables on your Apache server then pass the credentials every time the IIS server connection was called (as POST or GET parameters) and re-authorise each time by doing a server connect login action before your data query. It’s all a bit messy but at present I don’t see how else it could be done. Brian, I think that your solution with the access token is a great idea and should be secure enough. Could you explain how that could be done in wappler? I can call a server action directly in a browser by typing its full path i.e. 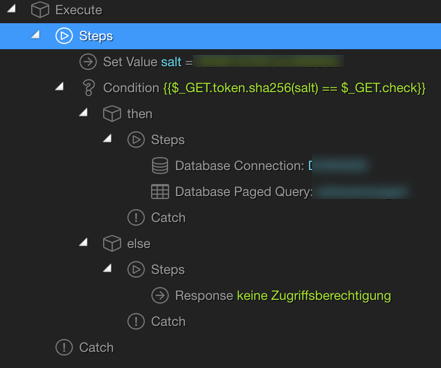 Lastly at the IIS end your server action would recompute the token via the same salt and compare with the check value. Is this the way the Server Action should look like? I tried == and === in the condition but there was no difference. Yes, thats what i suggested. When you say didn’t have success, with which aspect? 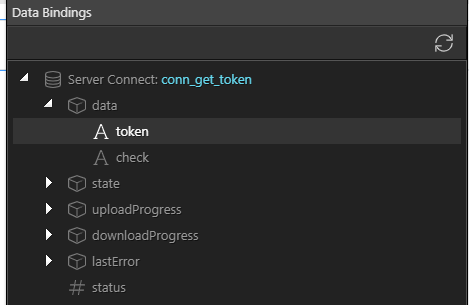 You should be able to text that server action by calling it locally on your IIS server from app connect. Is the page on your Apache server calling the IIS server connect action correctly? I think that the Apache configuration should be fine. I’ll send you the link to both servers via PM.